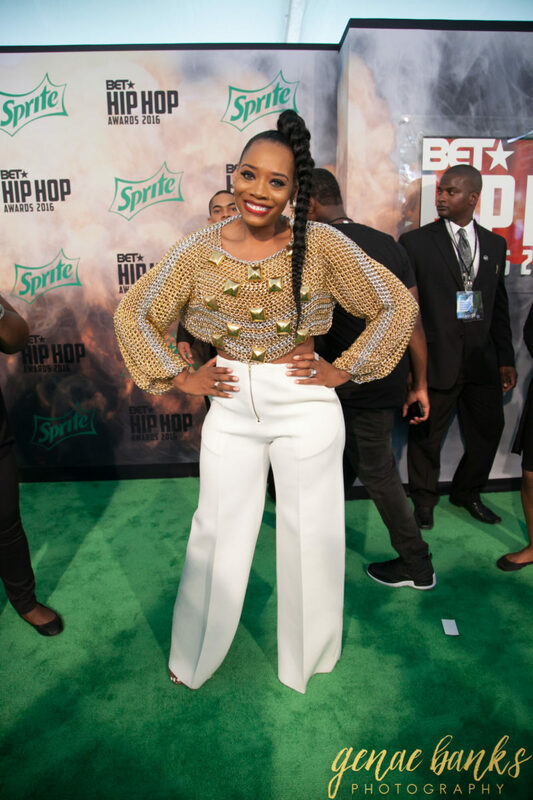 Reality Star Yandy Smith hit up the BET Hip Hop Awards with her artist and managed to pull off this chain sweater in over 90 degree heat! 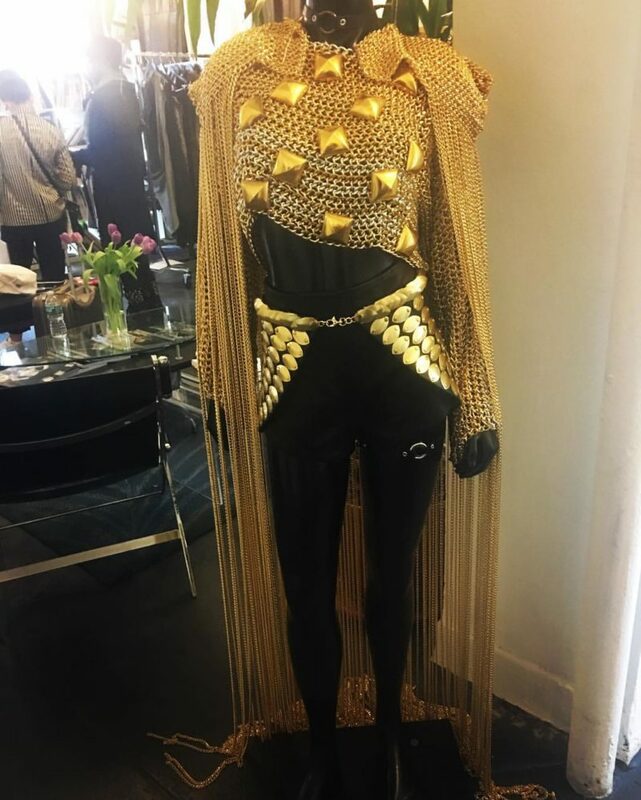 I see why she wore this intricate look because it was beautifully handmade and different but I’m surprised she didn’t faint lol. I asked her on the carpet was it made of chains and she responded back by saying, yes. I would have passed out from exhaustion but she was a trooper. 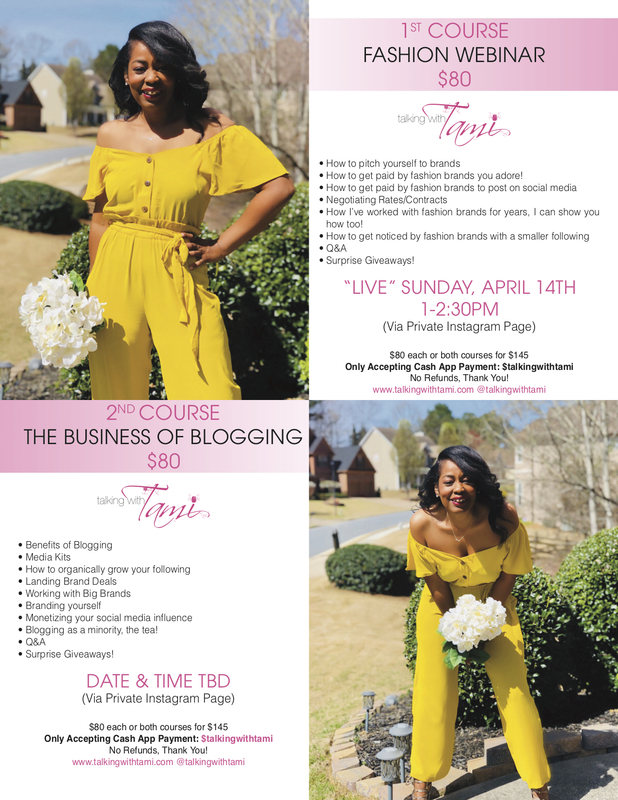 I have the details on what she wore and the designer inside…take a peek! 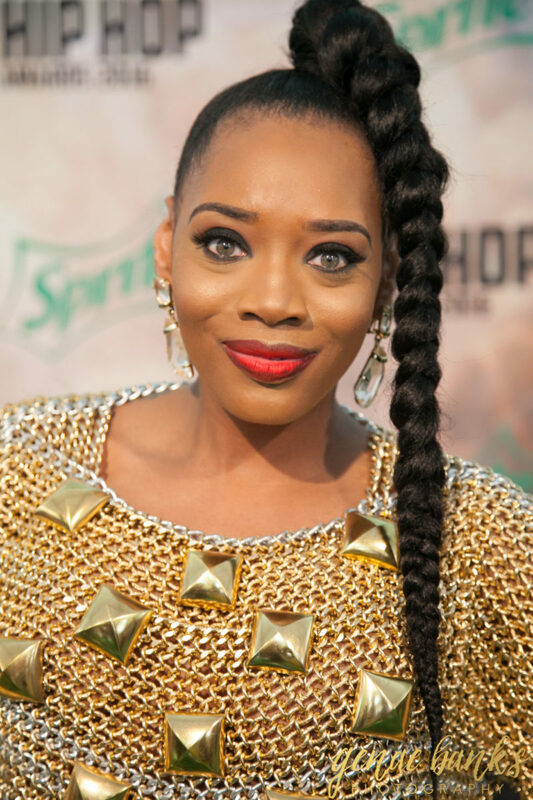 Yandy wore a Laurel Dewitt chain sweater(Fall 2016) and white wide-legged trousers, cute!